Mary Drotar is a Co-Founder of Strategy 2 Market, a consulting firm that specializes in product development, and the Product Risk Framework a business intelligence software tool for product developers. 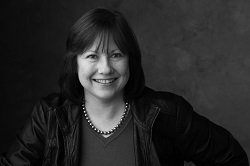 Mary’s expertise is in product development process, strategy, flexible techniques, and organizational development. Over the last 20 years, she has worked with mid-to-large-cap companies in helping them improve their product development system. Prior to this, Mary worked for AT&T Bell Laboratories and Ford Motor Company. She is a member of the Society of Women Engineers and speaks at national and regional conferences on ExPD. Mary and Kathy received an NSF STEM I-Corp Grant through the University of Chicago for their work in the area of uncertainty and risk in product development, notably for the Product Risk Framework. 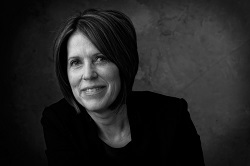 Kathy Morrissey is Co-Founder of Strategy 2 Market and the Product Risk Framework. Her product development expertise is in developing business platforms, innovation, product development strategies, as well as product and technology roadmaps. In addition, she also has considerable experience in portfolio management and early-stage product development activities. Kathy has an MS in Statistics from Carnegie-Mellon. She also has an MBA from the University of Chicago. She graduated from the Lean Launch Pad Educators Seminar at the University of California, Berkeley. Kathy also works part-time for The University of Chicago, as a Faculty Coach for the New Product Development Lab course. In 2018, Kathy and Mary received an NSF STEM Grant through the University of Chicago, for their work in the area of uncertainty and risk in product development, notably for the Product Risk Framework. John Reaves is the CEO at Learning Worlds, a consulting firm that specializes in developing methodologies and digital tools to streamline collaboration and accelerate innovation between diverse groups or organizations. 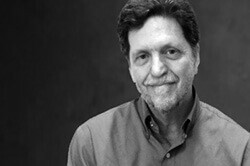 John has practiced at the intersection of creativity and innovation for over 30 years, helping clients to build new products and services, as well as crafting new innovation models, programs, and strategies. 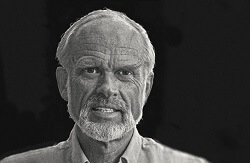 John’s expertise is in ideation, design thinking, flexible techniques, and systems thinking. John tackles challenges with a unique perspective, derived from a diverse background in the social sciences, new technology, and the arts. He received undergraduate and graduate degrees from Cornell University in anthropology and development sociology, he has an MFA in theater from Yale University, and did graduate work in film and media at NYU. John has been tremendously helpful in contributing to the Ideas & Selection segment within the ExPD process, as well as providing a unique perspective to all the chapters. John also has a talent for developing illustrations of complex concepts. 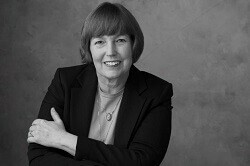 Therese Graff has extensive experience with medical device products and project management. Therese earned a BS from the University of Illinois, Urbana-Champaign, with concentrations in Chemistry and Biochemistry, and an MBA from The University of Chicago. Therese is certified as a Project Management Professional (PMP) by the Project Management Institute (PMI) and as a New Product Development Professional (NPDP) from the Product Development Management Association (PDMA). Therese has contributed to planning. Her experience in developing products compliments our approach to ExPD. She has used her knack for detail in reviewing the ExPD book. Stephen contributes to the People chapter within the ExPD book that outlines the necessary leadership, team, organization and cultural components in implementing an adaptable product development process. Stephen is also an advisor to Strategy 2 Market and the Product Risk Framework. 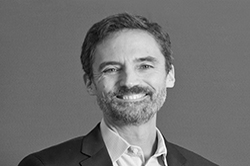 Stephen is the founder and CEO of Audira Lab, LLC, helping to empower leaders, teams, and organizations to achieve their objectives through professional coaching, facilitation and strategic planning. With over 25 years of corporate experience in marketing, product management & corporate strategy, Stephen has a passion for people, products, and potential. Stephen holds an MBA from The University of Chicago Booth School of Business, a BA from Northwestern University and is a Certified Professional Coach (CPCC®). Preston Smith founded and headed New Product Dynamics, a consultancy that helped countless companies in over 30 countries and in industries ranging from footwear to supercomputers to speed up their product development processes. He authored three leading books in the field: Developing Products in Half the Time (the classic in cycle-time reduction), Proactive Risk Management (winner of PMI’s prestigious Cleland Award), and Flexible Product Development (pioneered in applying agile methods to non-software products). Preston holds an engineering Ph.D. from Stanford and was a Certified Management Consultant during his 26-year consulting career. Preston has been instrumental in providing us guidance since we started the ExPD book. We spent a week in Portland, outlining the chapters with Preston’s input. He also provides on-going valuable edits and input on the content. Be sure to check out Preston Smith’s Corner on our site. It is a treasure trove of valuable product development information.